As IoT drives the next industrial revolution, managers can start saying goodbye to downtime. But what about security? There is a serious need for secure connections as IoT becomes more prevalent within manufacturing processes. The Internet of Things (IoT) is much more than smart televisions and home security. Connected devices and sensors are inherently changing the possibilities of the manufacturing industry, with continued implementation predicted to spark the next industrial revolution. How? It’s simple: digitization ensures that every level of the supply chain is as efficient as possible. Further, advanced manufacturing analytics unlock real intelligence about plants and production to improve operations, drive higher performance and guide continuous improvement. While some sectors have voiced concerns surrounding IoT’s notoriously weak security, proper device management should protect manufacturers as they embrace better, more efficient processes in the manufacturing of tomorrow. The proliferation of IoT should come as no surprise in today’s landscape. Devices have already invaded the home, with one report suggesting that 79 percent of US consumers have at least one connected device, and this is set to follow suit inside the warehouse. According to Forbes, market analysts expect the number of connected devices used in the manufacturing industry to double between 2017 and 2020. The continued integration of manufacturing IoT is expected to become a critical component of digitalization in the plant, helping companies connect with production assets which better monitor how they perform. Beyond gathering data, manufacturers can leverage advanced analytics to gain real intelligence about their production. Whether providing real-time data on factory equipment to avoid malfunctions or transmitting data from client products directly back to the factory shop floor, IoT is providing a host of exciting opportunities for leading manufacturers. This growth will be particularly pronounced in the auto industry, where consumers increasingly purchase connected vehicles which can transmit real-time on the car’s fuel consumption and tire pressure directly to a consumer device. What bores the average person excites the average warehouse manager. Case in point: analytics and efficiency. These are the cornerstones of manufacturing success, and exactly what IoT offers in ensuring a downturn in downtime. Better processes increase productivity and decrease factory downtime. The Bsquare Maturity Study revealed that logistics, including those on the factory floor, is the most common challenge being tackled by manufacturers who are currently adopting IoT solutions. Logistics is exactly what IoT is coming to transform, so perhaps it should come as no surprise that the same study of manufacturers last year found that 77 percent of organizations polled already have some sort of IoT solution in place. It allows companies to streamline their inventory management by providing on a central platform on which all IoT sensors can be connected and monitored remotely. The manufacturer can access diagnostic information transmitting directly from a consumer’s product and can use that information to design strategies to boost the performance and safety of a particular product. Manufacturers can leverage a constant stream of information to carry out faster repairs and avoid potential malfunctions. Manufacturing is set to win, and win big, thanks to the efficiency upturn that IoT offers. A PWC survey of industrial sectors projects that 10 percent of all companies that digitally transform their factories, and 27 percent of “first movers” that do so, will simultaneously achieve a 30 percent increase in revenue. All of this adds up to significant cost reductions and a much more agile factory floor environment. But what about security? Do more IoT devices translate into more fragile security? These are valid questions, as IoT is notorious for weak security systems. For example, IBM reported that criminal IoT compromises have risen by 600 percent in the last year alone. Manufacturers would be advised to consider carefully what kind of connection they select to pair their devices. There are two major connection types which allow communication to an IoT device to take place: peer-to-peer (P2P) and server-based. Data needs to flow from the device to an end user, so with a server-based connection, this means the client command is directed through a central server before being communicated to the sensor itself. Meanwhile, a P2P connection means IoT data is shared directly between two “peers” and only uses a server to create a direct connection. Put simply: the connection is either direct or filtered through a third-party server, raising security questions in the process. In this way, P2P would be the best connection type to prevent infiltration, which is especially important in the manufacturing industry where so many resources and dollars are involved. It is worth noting that governments are attempting to secure IoT connections as they become more popular in both public and private sectors. In 2017, the US passed the Internet of Things Cybersecurity Improvement Act, which sets security standards for IoT devices that vendors can sell to the government. The bill requires IoT vendors to ensure that they can patch up any of their devices with new security updates, as well as preventing the sale of devices that have any known vulnerabilities. Admittedly this legislation only covers cybersecurity for the government’s IoT devices, but such legislation is a step in the right direction. In any case, the potential security threats seem to have no slowing effect on the technology’s uptake, with a forecasted global market value of $1.7 trillion in 2019. 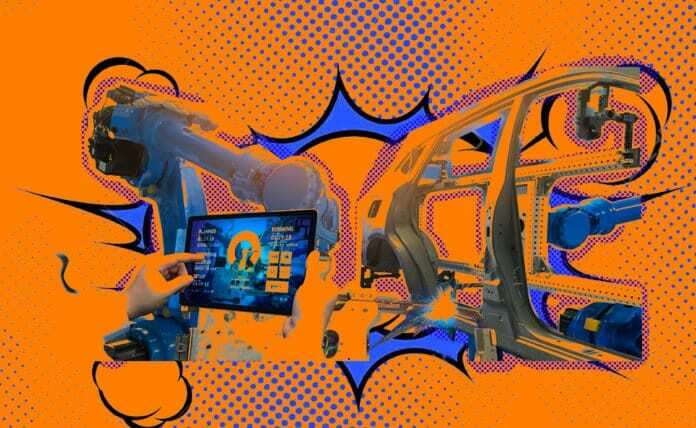 IoT creators and users will need to be vigilant as the technology becomes integral to operational efficiencies, but the positives outweigh any detractors when it comes to the manufacturing industry. Driving higher performance while simultaneously cutting operational downtime is the holy grail of manufacturing, which is exactly why IoT is quickly becoming touted the next big step forward for the worldwide production industry. Written by Carsten Rhod Gregersen, CEO and founder of Nabto. What Can We Do About Increasing Complexity in Cybersecurity?